How E-Commerce Has Forced Warehouses to Modernize | Affiliated Warehouse Companies Inc.
E-commerce has changed the world in so many ways. It has forced companies to figure out how to ship products to customers quicker than ever before. It has also caused customers to expect more out of the companies that they buy products from. And it has transformed the way that modern warehouses look and function as well. Warehouses are no longer just places to store products. They’re also tools that companies must use to keep their customers happy. 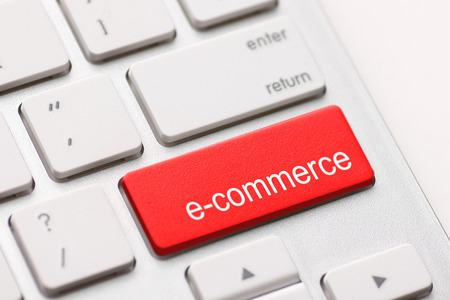 Here are some of the ways modern warehouses have changed to suit e-commerce needs. Just about everything inside of a modern warehouse is automated. It should come as no surprise to hear that the technology inside of warehouses has improved dramatically over the last decade or so. Every single aspect of a warehouse has been automated to make it easier for warehouse workers to receive, handle, store, and ship products. There are also things like drones, robotic devices, and optical readers that are being used to make warehouses more productive places. Warehouses are bigger and taller than they once were. If it seems like warehouses have gotten bigger in recent years, you’re not just imagining things. The average warehouse is almost 185,000 square feet now. It’s also more than 32 feet high. This is by design to accommodate all the products that e-commerce companies need to store in warehouses so that they have easy access to them at all times. Many modern warehouses need to be prepared to handle orders that are on the smaller side. Therefore, these warehouses are developing systems that allow them to customize the ways in which workers pick products for smaller orders. They’re also coming up with the right layouts for their warehouses to increase productivity. Is your e-commerce company looking for a modern warehouse to move into soon? Affiliated Warehouse Companies can show you warehouses that incorporate all the technology you’ll need to stay ahead of your competition. Call us at 732-739-2323 today to see the warehouse locations that are available now.